Some books of poetry address their readers from a distance. 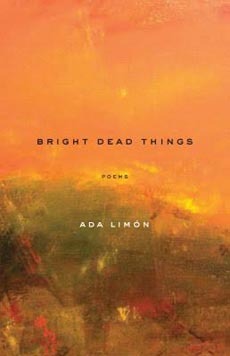 In Bright Dead Things, Ada Limón engages in a conversation with her audience, one-sided only in the sense that she cannot hear or know our replies. The speaker touches on universal subjects in fresh ways as she tells us how she feels about a myriad of life events, inviting her audience to experience and examine these situations from her perspective. While this is the first book of Ada Limón’s poetry I’ve read, it is her fourth volume. In addition to Bright Dead Things, she has also published Lucky Wreck, This Big Fake World, and Sharks in the Rivers.  Bright Dead Things was a finalist for both the 2015 National Book Award and the National Book Critics Circle Award, and was listed as one of the Top Ten Poetry Books of the Year by The New York Times. The writing in this volume is as lyrical as work I have encountered previously by her, and as satisfying to both the ear and the heart. The cover emphasizes the title, drawing the reader in with blurred textures and russet hues reminiscent of fire and open fields. This book is separated into four sections. It starts strong with the leading poem, “How to Triumph Like a Girl,” which is loaded with the kind of concrete imagery Limón specializes in—the kind that encapsulates an idea fully, tangibly, and makes it accessible to the reader. There is a sense of power and self-sufficiency on display in this poem, an inner female strength compared to a horse’s anatomy for a more visceral punch. The deeper we delve into the sections of this book the more complex our journey becomes. We travel from city to state and meet some of Limón’s former homes, getting an idea of her own sense of belonging and how it differs between the bustling Brooklyn streets and the sun-soaked fields of Kentucky. Her sense of solitude is overpowering in these scenes focused on the rolling fields of her southern homes. There is an obvious love and affection for the land and world around her. with all my private agonies. equally, as if it was easy. Oftentimes, her poems explore the idea of faith. 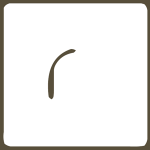 Perhaps the strongest example and most direct poem to address such a heavy topic is “What It Looks Like to Us and the Words We Use,” but the theme does show up intermittently throughout the entire book, often surfacing as faith in oneself, or in love, and not exclusively related to a deity or religion. the original songs on the inside. Sandra Youngs is a recent graduate of Hamline University, where she earned a BFA in Creative Writing. She also holds an AFA in Creative Writing from Normandale Community College and works as an associate editor for Poetry City, USA. She lives in Chanhassen, Minnesota, enjoys eating ice cream in cold weather, and can’t stop writing about trees.